some really interesting strategies were used to popularize this new artform: posters. first, of course, there were the japanese. in what westerners were the first to accept as fine art, we received "adver- tisements" for kabuki stars and courtesans, and learned from them. we learned not only simplification and effectiveness, and all of the other things we've discussed here, but also we learned new things about color. what was the first "poster scheme"? marketing? promotion? art? jules cheret, an artist and the owner of a printing company, corralled the artists of this new medium from around the world to create masters of the poster. "They were published in book form by Librarie Chaix in Paris, the printing firm owned by Cheret, and subscriptions were taken. Four posters were sent every month." 1 you may notice that most of the posters you've ever had on your walls were originally part of this project. by unifying, the many became one, became memorable. two other successful poster campaigns remind me of each other -- not in strategy but in style. the uses of the 'new colors,' the brightness, the flattened plains; both caught the eye, held it, and pleased it. the first was the series of posters for the london underground. "London Transport Museum cares for one of the finest poster archives in the world. For 100 years, since Frank Pick commissioned the first graphic poster for London Underground, the company and its successors have kept copies of everything they produced. In the early 20th century, under Pick's guidance, London Transport commissioned work from the best artists and designers in the world." 2 in the end, more than 5000 posters had been created. like the 'masters' series, the other poster campaign was also run as a subscription service. "In 1923, marketer Charles Rosenfeld and Chicago printer Charles Mather teamed up to begin selling subscriptions to an annual poster series for motivating and inspiring workers. What began as a novel concept to use up excess capacity turned into a very popular series seen in hundreds of factories across the U.S. during the Roaring Twenties. 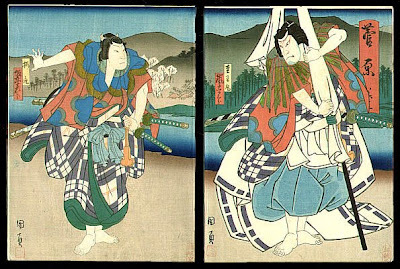 japanese style, colors, and forms of emphasis were continued, then expanded upon. as japonisme branched off into modernism, outlines were often dropped, but the new ways of seeing that had been brought about by the import of the japanese prints remained important influences. "The Mather posters were tightly integrated advertising messages – a bold headline, a catchy image to match, and beautiful lithography and design that made the next week’s poster something to look forward to seeing. Executed by a first class team of prominent graphic artists from the Chicago area the posters were innovative and graphically sophisticated. As the years progressed, colors became brighter, designs more eye-catching and succinct, and the text reduced to shorter, simple phrases. The 1927 series is particularly striking with its tapestry-like backgrounds and bold color combinations. back in england, "Publicity soon extended to subsidiary bus and tram companies, for which posters subscribed to the same 'soft sell' approach. This time however, the subjects were idyllic rural scenes to tempt the city dwellers out of London. 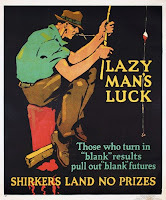 Pick believed that posters fulfilled a loftier purpose than simply encouraging greater use of transport services. He had a passionate commitment to good design and an enlightened approach to the commercial application of art. Pick saw the potential of posters to enrich the quality of urban life in London. soon, of course similar stylistic devices were displayed widely, from film posters, to children's books, to the actual united states government. 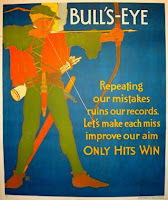 (remember the posters from WWI?) the colors and the style spread throughout the west, and then the world, opening up, folded in upon itself and goodness knows what just might happen next. 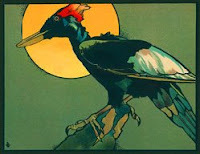 Poster art is so fascinating, and the early 20th century was certainly somewhat of a golden age for posters. Your blog is in such a great niche! I've run across it before, but then I lost it somehow. Thanks for visiting my blog, and I'll be sure to link to yours so that others can find this great resource! yes, definately. by my standards, that golden moment, due to the confluence of influences of new technologies, fin-de-siecle restlessness, and of course the influx from japan, was THE moment. 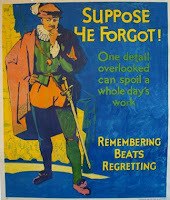 other poster campaigns after the mid-thirties, from roosevelt's wpa posters, to the posters from the family dog, they've never come as close to my heart.